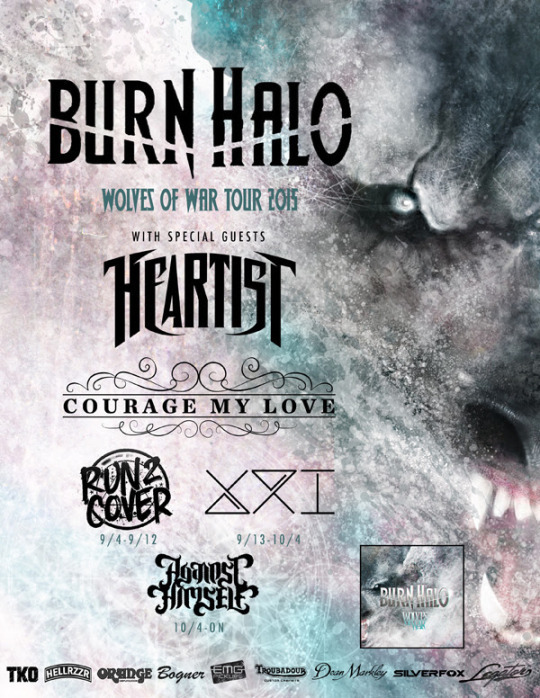 Burn Halo have announced their upcoming fall tour titled Wolves of War. Kicking off on September 5th in Anaheim and ending on October 8th in Kansas City, the tour has a handful of great acts hitting the road with them! Joining the band will be Heartist, Courage My Love, Run 2 Cover, XXI, and Against Himself on select dates.